The LCD Series features many features that provide you with the series maximum security. 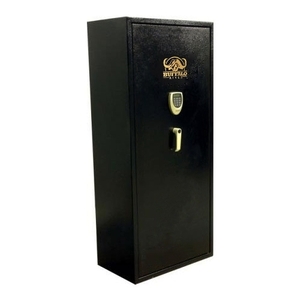 Each safe is made of plate steel either folded or total seam welded to the form the body and frame of the safe. The safes are available in various thickness providing increased security up to 2 mm walls and a 3mm door. The door construction is designed in a time proven manner that utilises 8 separate bolts to secure the door the ridged frame. These bolts are 25mm or one inch in diameter. They are activated by a central locking control that is activated by a tamper resistant LCD keypad. The LCD Keypad is operated by AA batteries that can be replaced without accessing the Internal safe. All codes are easily programmable by the owner. All LCD safes are also provided with two emergency keys that allow manual access should the LCD be damaged in any way - such as in an attempted break in! Additional replacement LCD units will allow you to get your safe fully operational again.